Lemon balm is easy to grow and provides a pleasant, lemony flavor and aroma for hot dishes, tea or cold drinks. It’s hard to imagine that such a lovely plant could cause so many problems, but this member of the mint family is super-prolific and can wear out its welcome in a hurry. A weed is defined as any plant that grows where you don’t want it, and lemon balm proves the point. This dainty little plant that looks so innocent when you buy it at the garden center can reach a height of 2 feet and a spread of 3 feet by the end of the first growing season. Worse yet, the plant self-seeds itself like a champ and before you know it, you have a garden full of more lemon balm than you ever wanted — or needed. 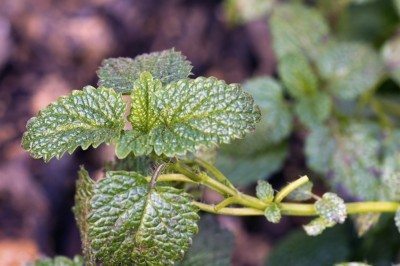 The most effective way to keep lemon balm in bounds is to prevent the plant from going to seed. One way to accomplish this is to shear the plant two or three times every year so it doesn’t bloom. Don’t worry; cutting the plant back won’t hurt it. If the plant blooms, snip off the flowers before they have a chance to go to seed. Even one bloom can contain a tremendous number of seeds. If the plant has already gone to seed and taken over your garden, removing the plant by hand is usually the best recourse. Be sure the ground is slightly damp so you can pull entire plants, along with the roots and runners (stolons). If you leave roots or stolons in the ground, the plants will return with a vengeance. 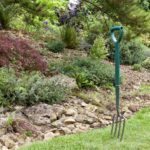 You may want to loosen the soil with a garden fork to make weeding easier if the ground is hard. One weeding may not be enough for complete lemon balm control. Keep an eye on problem areas and pull the small shoots as soon as they appear. Controlling lemon balm plants requires persistence. 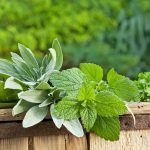 Read more articles about Lemon Balm.